What is a 2.1 degree, and is a 2.2 degree worth anything? Studying for a Master’s degree in the UK is especially great for international students because its renowned for the high standard of education. That said, international admission guidelines can be tricky and it’s no different in the UK. You might find yourself faced with very specific eligibility requirements – such as “Bachelor’s degree with a 2.2 or a third”. What do these numbers mean? System International applicants to a Master’s degree in the UK will need to have their international Bachelor’s degree to be of the same standard that is required from a UK Bachelor’s degree. Ordinary degree (pass): A degree without an honors classification Typically, a Master’s programme will need you have at the very least a Second-class honours, lower division (2.2), sometimes called a lower second class honours. Some do not put an exact grade and request for a ‘good honours degree’ – which usually means a first or a 2.1. The British undergraduate degree classification has been applied to many other countries. 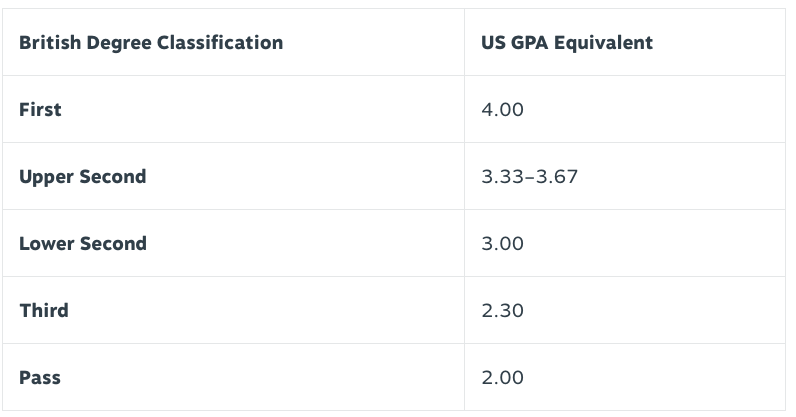 If your Bachelor’s comes from Canada, India or Nigeria for example, you might find that the system is quite similar to this but with its own variations. It is quite different if you’re from outside of the countries that follow this system though. The comparisons here are a general guide. There are many things to consider, especially programme expectations, nuances and whether you completed a three-year or four-year degree. For example, even if your Bachelor’s degree corresponds to a lower division honour than the one listed in the eligibility criteria, the admissions team might still consider you a good applicant if you have the right academic background or professional background. At the end of the day, the best person to give you feedback on making your application perfect is an admissions expert associated with the school! They can do a credit transfer check, and give you the inside information about the programme. If you get the chance to get personal assistance, grab it. It will definitely help you get an edge with your Master’s application.